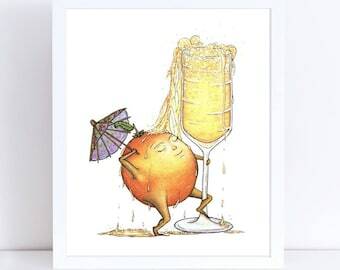 Inside Message: “you complete me"
Grab the champagne, grab the orange juice and you got yourself a Mimosa! 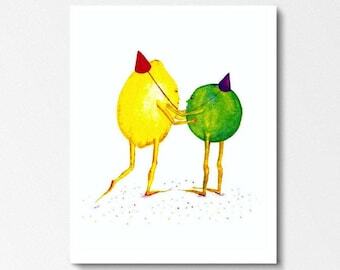 Like relationships and friendships, they are good on their own, but together they complete one another! 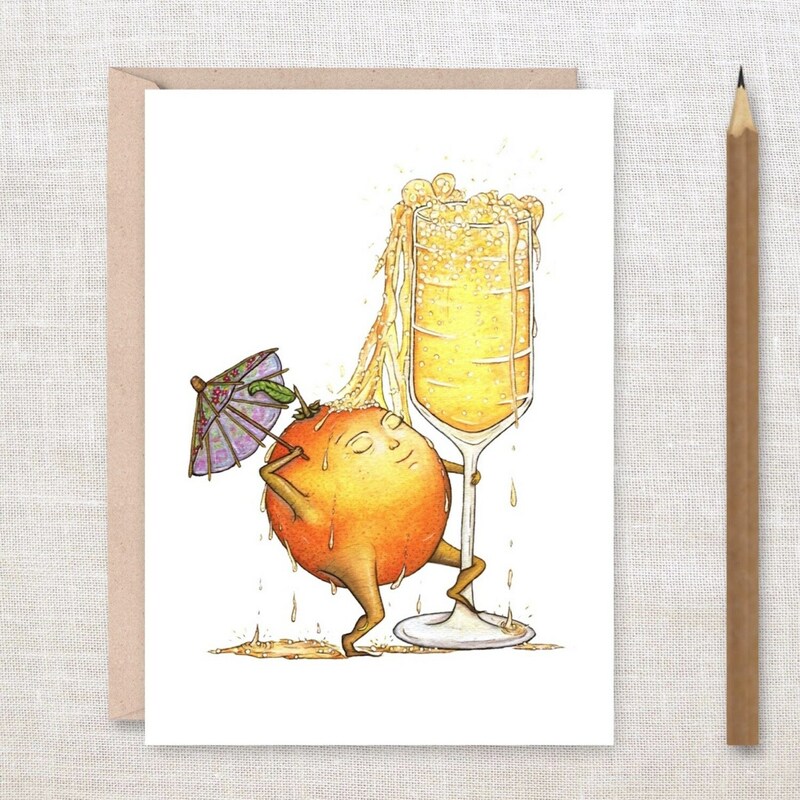 A great card for a party invitation, an anniversary, a birthday and just to make someone smile! *Also available as an Archival Print for framing.